As I’m sure you all know, this has been one of the best snow winters in recent memory. It’s the reason I haven’t posted anything in a while, I’ve been too busy having fun in the white stuff. When the snow is this good, my favorite type of adventure is “backcountry” skiing. This isn’t the type of skiing where I’m skinning up giant mountains and then flying back down them. This is heading out into the nearest patch of woods and hitting the trails, the deeper the snow the better. I’ve been doing it around my home base in Portland and up in the wild of the Carrabassett Valley. It’s the type of skiing anyone can do, all you need is some open space nearby and good snow. The skis reviewed here are each good choices for this type of skiing. 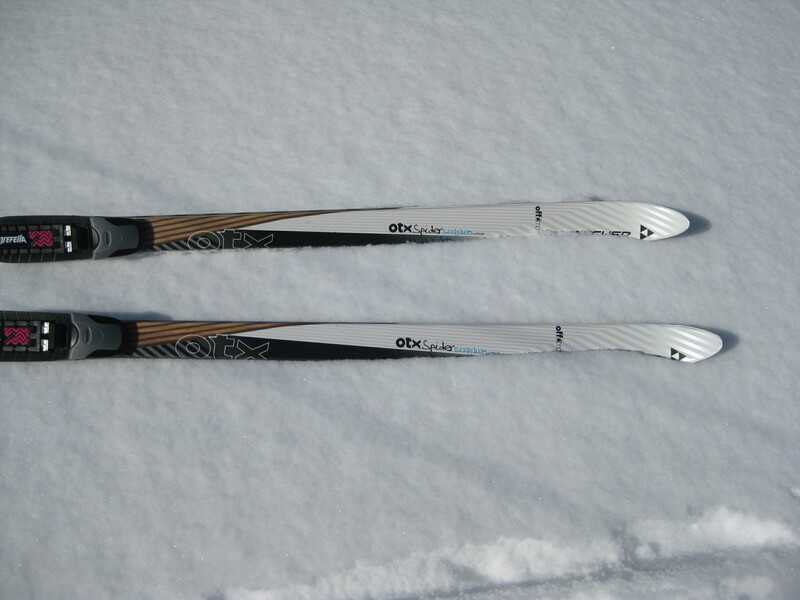 At first glance these skis look very similar. But closer inspection reveals the Spider 62 to be a bit narrower. 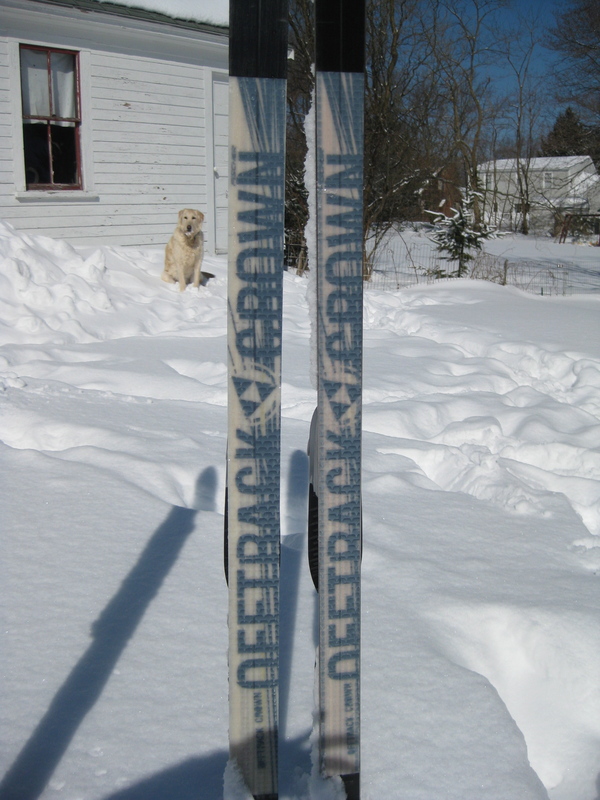 In fact, the names refer to the widths of the skis at their widest. The sidecut of the Outback 68 is 68-59-64, the Spider 62 is 62-52-60. There’s a bit of a shape to them but nothing pronounced. 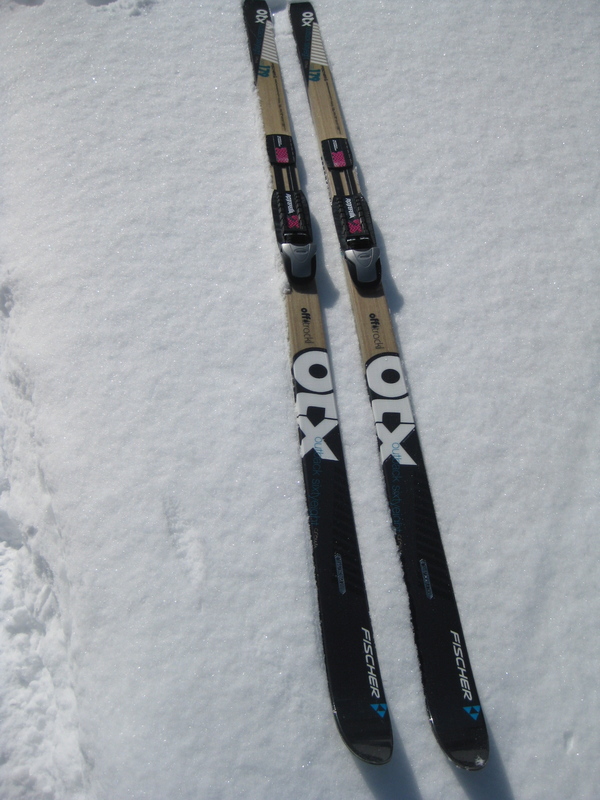 I used both skis in similar conditions; deep, beautiful, unconsolidated powder. They share the same type of fish-scale waxless base, the Offtrack Crown. Right off the bat I was impressed with the grip of these skis. The Offtrack Crown base gripped the snow easily as I climbed up a short, steep slope. My other backcountry skis would have had trouble not slipping on this hill and I likely would have had to herringbone it. The Spider 62’s didn’t quite have the same grip as the Outback 68’s, on a couple steep climbs I had to herringbone with the Spiders. This is certainly a function of the Spiders being 7 millimeters narrower underfoot, a simple matter of less surface area equaling less grip. This increased grip on the Outback 68 comes at a cost of less speed on the downhills. They also seem to be a bit softer ski than the Spiders, so you drag a little bit more going downhill. Each ski comes with a full-length metal edge that helps with control on downhills, particularly if things are hard-packed and/or icy. Luckily, this winter we haven’t had to deal with conditions like that. I used NNN backcountry touring bindings but you could mount a 75 mm 3-pin system on the Outback 68, the Spider is probably too narrow for a 75 mm system. The Verdict I loved these skis. They climb great and handled the deep snow very well. Each ski held up well to several long days breaking trail through deep snow. I feel like they would each be appropriate for a more serious endeavor like pulling a sled thru Baxter State Park or carrying a 40 lb. pack on the Catamount Trail in Vermont—both things I have done. The Outback 68 would provide a bit more stability but the Spider is no slouch. If you want the option of being able to ski at a groomed touring center, the Spider 62 is narrow enough to stay in a groomed track. The Outback 68 is a bit too wide. There’s still plenty of snow in the woods so grab some skis and get out there. You wouldn’t go wrong with either of these skis. Do you feel like the Crown base would go up rolling hills with a sled, without skins? Yes, I’ve skied with a sled and without skins and made it up gentle to moderate hills pretty easily. This is with both the Outback 68 and Spider 62. Even on steep climbs I could herringbone up, althought skins would be easier.